The Russian Progress vessel which entered the ‘wrong’ orbit on Tuesday has remained out of touch throughout the second day of its uncontrolled spinning around the earth. Its docking at the International Space Station (ISS) is deemed ‘impossible’. In the last 24 hours the spacecraft has been detected by radio surveillance devices on the ground, but there was no result after five attempts to “reach” the Progress, RIA-Novosti reported on Wednesday. Roscosmos has been pessimistic about further attempts at contacting the Progress spacecraft and regaining control over it. “We are currently monitoring the systems of the cargo spacecraft and looking for options to burn the spacecraft in the atmosphere and probably to sink it in the ocean,” Komarov added. The Progress spacecraft is planned to be taken out of its orbit in a week’s time, and it will burn up in the Earth’s atmosphere afterwards. It presents no danger to the ISS due to a significant difference in the orbit altitude, according to the press service of the agency, which also added that “at the moment the spaceborne system of the vessel is under control. Roscosmos experts are controlling the orbit of the cargo spacecraft and will promptly report on the developments”. On Tuesday, Progress went to an orbit about 40 kilometers higher than initially planned, although the launch ran in a normal mode. The docking was planned to be carried out on Thursday, but at the moment it is functioning in the emergency mode, spinning while travelling at the speed of over 7,000 meters per second. According to North American Aerospace Defense Command (NORAD), the minimal altitude of the spacecraft’s orbit has decreased by 7 km, from 193 km to 186 km. “One thing is clear – the abnormal situation with the “Progress” occurred at the moment of the dispersion of the rocket and the spacecraft,” first deputy head of Roscosmos Alexander Ivanov said. The cost of the failed launch has been estimated at nearly 2.6 billion rubles ($51 million), which coincides with the cost of the insurance, according to Interfax. The 7-meter-long vessel is carrying 2.5 tons of supplies for the ISS crew, including food, water and fuel. The cargo is however not of vital importance to the crew, officials have insisted. “The astronauts on the station – there are six of them now, three Russians, two Americans and an Italian – have enough supplies to last at least te next four months. They just got a fresh supply of food and geer from a US spaceship, launched earlier this month,” the managing editor at SPACE.com, Tariq Malik told RT. “They may have to go without some of the treats on board, the care packages, that their families sent, fresh fruit and vegetables that they normally get on these Progress vehicles,” Malik added. 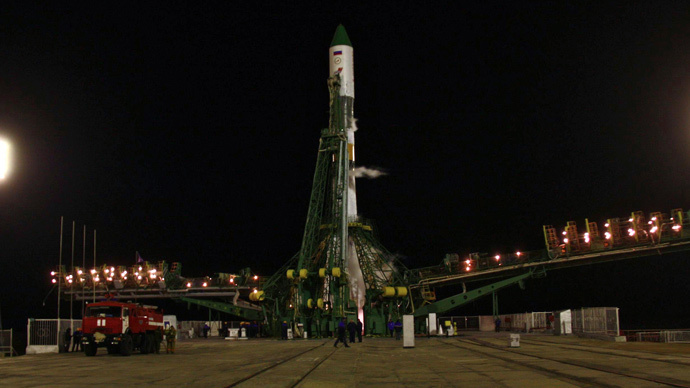 The launch dates of other Progress vessels, planned for this year, are subject to change, Roscosmos stated on Wednesday. However, the launch of the next expedition to the ISS is likely to take place as scheduled before, at the end of May. A source told RIA-Novosti that the date will probably remain May 26, because “the manned spacecraft Soyuz TMA-17M is carried by the launcher rocket Soyuz-FG, not its upgraded version Soyuz-2.1а”. The new expedition is set to include Russian cosmonaut Oleg Kononenko, Japanese astronaut Kimiya Yui and American astronaut Kjell Lindgren.